Aleena Celebrates Eid: A Colouring Book, written by Tasnim Nazeer is an interactive and engaging story which teaches your child about the glorious day of Eid al-Fitr. It is written in a lively, rhythmic tone through the eyes of little Aleena, who observes all the practices that make Eid a truly special day! 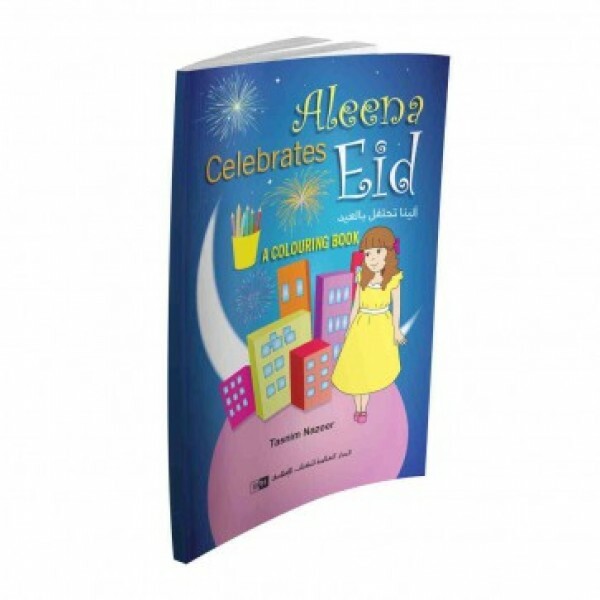 This delightful activity book aims to nurture enthusiasm and excitement in your child to truly enjoy the blessing of Eid, which Allah has given as a gift to all Muslims following the month of Ramadan. A fun way to teach children about Eid from an early age, to bestow Islamic values, and to give them a real festival to look forward to!